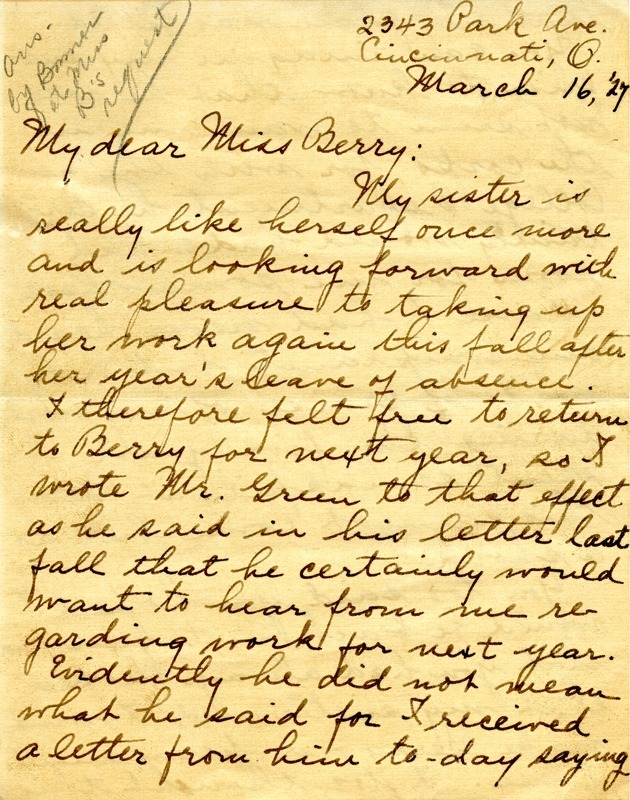 Foote writes Berry to ask for an explanation after her position at Berry was filled while she was on a leave of absence due to her sister's illness. Susan L.B. 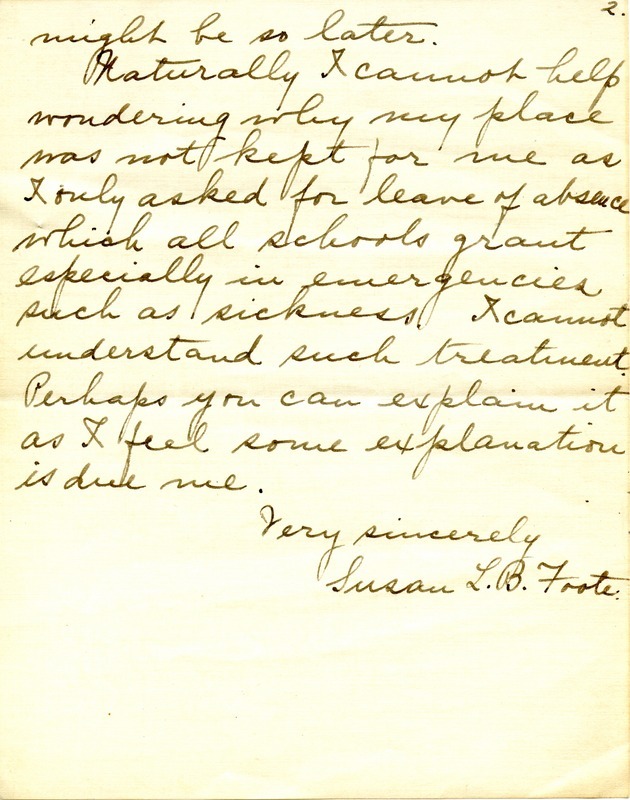 Foote, “Letter to Martha Berry from Susan L. B. Foote.” Martha Berry Digital Archive. Eds. Schlitz, Stephanie A., Sherre Harrington, et al. 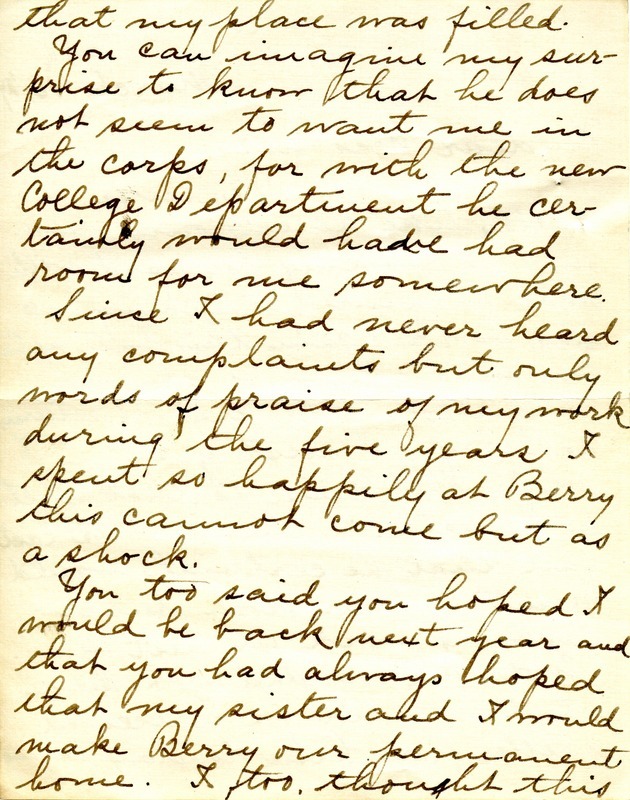 Mount Berry: Berry College, 2012. accessed April 24, 2019, https://mbda.berry.edu/items/show/4364.